Sen. Marco Rubio (R-FL) introduced an amendment to the Constitution Monday to limit the number of justices on the Supreme Court to nine, a move that a senior aide to the senator said has been in the back of Rubio’s mind since fall 2018. 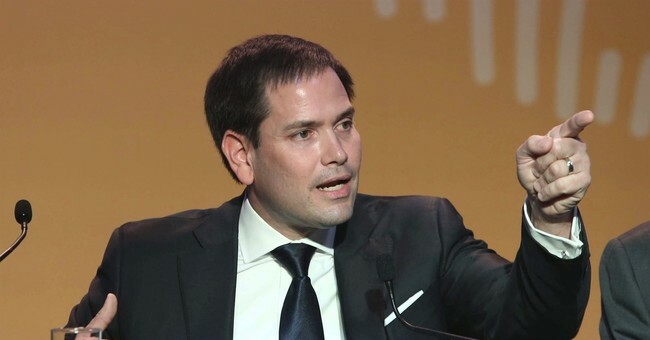 Rubio’s move to preserve the court number came after Democrats in and outside of the 2020 presidential campaign said that they’d consider adding more justices to the nation’s highest court. 2020 candidate Robert Francis “Beto” O’Rourke suggested that justices are divided up by political affiliation. Former U.S. Attorney General Eric Holder, Sen. Elizabeth Warren (D-MA), Sen. Kirsten Gillibrand (D-NY) and Sen. Kamala Harris (D-CA) all openly played with the idea of shifting the number of judges on the Supreme Court. Rubio is joined by Sen. Pat Toomey (R-PA) in supporting the amendment. Other supporters of the amendment include Sens. Kevin Cramer (R-ND), Marsha Blackburn (R-TN), Todd Young (R-IN), Cindy Hyde-Smith (R-MS), John Hoeven (R-ND), Mike Lee (R-UT), Ben Sasse (R-NE), Mitt Romney (R-UT), Mike Crapo (R-ID), Shelley Moore Capito (R-WV) and Steve Daines (R-MT). The Constitution doesn’t stipulate how many justices the Supreme Court must have. It is up to Congress to determine that number. Throughout American history, the number shifted from five to ten. The Judiciary Act of 1869 set the requirement to one chief justice and eight associate justices.